There’s a good chance you’ve heard about “Metabolic Syndrome” in recent months. There’s also a good chance you just let the phrase go by without thinking much about it. After all, it’s not very serious sounding. How bad can it be? Well, it’s certainly not good. You are you at risk, and so are your loved ones … regardless of how old or young they are. I’m going to tell you briefly about a friend of mine we’ll call Tim—a friend and business associate—who almost died last year right around Christmas time because of Metabolic Syndrome. And although Tim is a man, his story is similar to those of women who’ve been overwhelmed by Metabolic Syndrome. I’m telling you because I want you to understand how seriously Metabolic Syndrome threatens your health, and to alert you to the fact that metabolic rescue is available. Well, putting it bluntly, you can stop it from killing you … or someone you care about. Are you too busy to stay healthy? Through most of Tim’s younger life he was an active man. But times change. So do responsibilities. Tim found he had less time to exercise as he took on a new career. Or so he told himself. Gradually … very, very gradually … he noticed some changes taking place in his body. Small changes you, too, may have noticed. His waistline thickened slightly. He gained some weight. Not a lot at first. Certainly not enough to call him fat. It’s all part of middle age, he told himself. some changes taking place in his body. He dieted and dropped most of the weight. But it came back. More this time than before. His belly was no longer just thicker. It stuck out. Exercise became difficult because—he told himself—he didn’t have the time to do it right. And when he did exercise, he’d get winded and tired easily. He dieted. Tried everything. But the weight wouldn’t go away. Then the very slow progression overtook him and grabbed him like a big, angry bear. Finally, two days after Christmas last year, he got medical attention. “This is heart failure,” the doctor said. Further examination uncovered Type 2 diabetes, high blood pressure, and high triglycerides. Tim was diagnosed with what is now called Metabolic Syndrome and what he very much needed was metabolic rescue. Tim’s case is very typical of most people with this devious, insidious medical condition. It sneaks up on you and can take years to show its face. When it does start impacting your life, it’s easier to push the threat to the back of your mind than deal with it. But all the while you have a nagging worry … and a sense of failure, just like Tim did. “There must be something wrong with me that I can’t lose weight,” you say to yourself. “I must be weak. No will power.” And you know that’s how others think about you. You’ll see in a moment why you are not to blame if you get Metabolic Syndrome. I’m also going to tell you what some of the world’s most prestigious medical and nutritional researchers feel cause it. And how—armed with knowledge—you can experience metabolic rescue and reverse Metabolic Syndrome’s deadly impact on your life. But first, let me tell you exactly what Metabolic Syndrome is … and what it is not. Metabolic Syndrome is not a disease. It’s a “syndrome”—a combination of symptoms. That distinction makes it more difficult to attack and control. But metabolic rescue can be achieved. Although the term Metabolic Syndrome is most commonly used in the cardiovascular field, Deadly Quartet really describes this syndrome’s impact on your life and the lives of over 47 million Americans4… and their loved ones. There is no denying Metabolic Syndrome affects everybody in the victim’s family. Healthy now? Then there’s nothing to worry about. Right? Simply stated, this means that if you didn’t have heart disease or diabetes before you got Metabolic Syndrome, you’re still far more likely to die of all causes … including cancer. And don’t assume that men are more likely to get Metabolic Syndrome than women. A 16-year Finnish study of over 8,800 men and women proves otherwise. Here is the reality about Metabolic Syndrome: This nasty condition will eventually kill you. And the particularly nasty aspect is how slowly it sneaks up on you … and how it can grab hold of you even when you don’t seem like the “classic victim” in need of metabolic rescue. Metabolic Syndrome is a breakdown of your metabolism! Metabolic Syndrome’s sole cause is impossible to track down. That’s because—and here all the researchers agree—it has no clear singular cause. But researchers do have great leads on factors that lead to Metabolic Syndrome. Any one of these potential causes—or a combination of several of them—can open the crack in your body’s defenses, letting Metabolic Syndrome gain a foothold. But before I tell you about these deadly factors, I want to get something off my chest. When you read the medical literature, it’s easy to feel that if you get Metabolic Syndrome, you have done something wrong. This is as far from the truth as you can get. Metabolic Syndrome starts slowly, unnoticed. Once it gets a hold of your metabolism, however, Metabolic Syndrome picks up speed and severity … like an avalanche roaring downhill. An avalanche that’s almost impossible to avoid in today’s modern world. I’m convinced Metabolic Syndrome gets its toehold because you’re normal but living in a nutritionally abnormal world. For this reason, I’m going to eliminate two words from this discussion: obesity and fatty tissue. Both these expressions are front-loaded with guilt … guilt that only prevents you from doing something about Metabolic Syndrome. Now, before I get to the secrets behind metabolic rescue, let’s look at the two biggest causes of Metabolic Syndrome’s attack on your life. Your cells need energy to carry on the many vital, complex functions they have. They get energy in the form of glucose, a simple sugar your body gets from the food you eat. But for this glucose to be used, it has to get inside your cells. Insulin—a natural hormone produced in your pancreas—bonds to receptors on the outside of cells. There it acts like a key to let glucose enter. When the doorway no longer recognizes the insulin key, glucose stays in the blood rather than entering the cells. The pancreas responds by releasing large amounts of insulin to lower the glucose levels. Your pancreas can compensate for this flood of glucose for a number of years by secreting more and more insulin. But after awhile, your cells become overwhelmed by all the insulin, and they start to respond to the insulin much more sluggishly. The amount of glucose in your blood gets higher. The pancreas keeps receiving signals that glucose levels are high, so it ratchets up insulin production. The more insulin that’s released, the less effective it becomes, and the more resistant to insulin your body’s cells become. Making the situation worse, insulin also promotes the formations of adipose tissue. The more insulin your pancreas secretes, the more likely you will gain weight! An even more insidious reason for this is that the fat cells do NOT develop insulin resistance to the degree other cell types do. The result is that, in insulin resistance, your muscles and organs are being starved while your chubby fat cells are being fed … and fed quite well! All adipose tissue produces these potentially dangerous substances. But the adipose tissue that develops around your belly turns out to be a particularly good site for their production. That’s why increased waist circumference—originally seen as a symptom of Metabolic Syndrome—is really one of the causes. Many people start to experience thickening around the waist as they hit middle age. It seems inevitable, a normal though unwelcome part of aging. What happens is this: Visceral adipose tissue (fat cells around your midsection) produces hormones and other bioactive substances loosely referred to as adipocytokines. These factors decrease insulin sensitivity in insulin-targeted organs like muscle and liver.14 One overall effect is to increase insulin resistance … resulting in Metabolic Syndrome. Adipose tissue is also responsible for increased secretion of a substance called PAI-1, which plays an important—and deadly—role in forming arterial plaque and artery-blocking blood clots. In addition, adipose tissue inhibits the secretion of a newly discovered protein called adiponectin.15 Adiponectin positively influences your body’s response to insulin and regulates the metabolism of lipids. Adiponectin also has anti-inflammatory effects on the cells lining the walls of blood vessels. High blood levels of adiponectin are associated with a reduced risk of heart attack. Low levels of adiponectin are found in people with waist thickening and who are at increased risk of a heart attack. Eventually, no matter how hard you try, if you don’t get at the core of the problem, you find it almost impossible to lose weight. Metabolic Syndrome takes firm hold in your body. Blood pressure rises. Blood glucose levels shoot up. LDL (bad) cholesterol levels shoot up and HDL cholesterol levels drop precipitously. You’re on a self-perpetuating cycle that leads to early death. How did we get here? And how can we break the deadly cycle? A little bit ago I said that if you are predisposed to Metabolic Syndrome or if you already have it, you are not to blame. I’m very serious about this. Once this condition gets a tiny toehold in your body—a toehold when you’re in your twenties or younger—it can lie almost dormant for years. Unfortunately, our modern lifestyle supports that toehold, feeding Metabolic Syndrome while it remains undetected. We no longer have time to eat properly or to take proper care of our bodies. We take our meals on the run. A cup of coffee, fruit juice, and a bagel and cream cheese for breakfast. A Caesar salad for lunch. A microwave spaghetti meal for dinner. And you’re always hungry with a craving for more food, especially something sweet and gooey. Everything washed down with a diet soda. You think you’re eating as healthy as you can. But it doesn’t work out that way. This fast “healthy” diet is loaded with simple, highly processed carbs … which put undue stress on your insulin system. If you could look at the salad dressing label, you’d see one of the first ingredients is high fructose corn syrup. This staple of American food manufacturing is cheap to produce and easy to use. It’s in every type of manufactured food from bread to pasta sauces to bacon to beer as well as in “health products” like protein bars and “natural” sodas. Artificial sweeteners in your soda? Researchers are proving what health advocates have long suspected. Recent experiments conducted by nutritional scientists Drs. Susan Swithers and Terry Davidson at Purdue University showed conclusively that laboratory rats eating food sweetened with artificial sweeteners gained more weight than rats fed with normal sugar. These experiments support survey results of humans indicating that people who drank large amounts of diet soda or diet fruit juice gained weight. It turns out if you use more than a small amount of artificial sweetener in your daily diet, you’re making yourself hungry, and you’ll eat more, and your blood sugar goes up. You get—or exascerbate—Metabolic Syndrome and you are a prime candidate for metabolic rescue. My friend Tim’s doctor told him that stress—in this case stress from helping to organize and run a fundraising triathlon—was probably what pushed him over the edge into full-blown Metabolic Syndrome. Stress increases the secretion of the stress hormone, cortisol. At critical times, cortisol helps your body deal with stressful situations—helping to produce the classic “fight or flight” response. Back in the “cave days,” stress meant real, physical dangers. And cortisol saved lives. The human brain responds to danger by signaling the adrenal glands to produce cortisol. This hormone breaks down glycogen in the skeletal muscles, turning it into glucose the muscles can use for immediate energy. It also increases freely circulating glucose for use by other organs and tissues. This can be great if a saber-tooth tiger is chasing you. But this is not good if your stress comes from bills, traffic, work, and other typical stressors of modern life. The reality of our life now-a-days is that we are all exposed to varying levels of stress with little relief. So cortisol is constantly circulating in your blood. It stimulates your liver to produce glucose at an elevated rate. It inhibits the conversion of glucose into glycogen in your skeletal muscle. It increases lipid and fat accumulation. This constant level of cortisol wreaks havoc on your body—increasing your risk of acquiring Metabolic Syndrome. This can seem a pretty bleak picture. Your lifestyle—one that is virtually thrust on you by modern living—predisposes you to Metabolic Syndrome. Your genetics can make you even more susceptible. If one of your parents had Metabolic Syndrome, there’s a good chance you will. Both parents? An even better likelihood. To make matters worse, Metabolic Syndrome may already have gotten a start in your body… even if you don’t have any of the symptoms or feel any of the effects. But the picture is not bleak at all. There are rational, safe ways to break the Metabolic Syndrome cycle and achieve metabolic rescue. It involves a focused supplementation program, a sensible approach to what you eat, and a moderate commitment to increasing your daily activity level. Since Metabolic Syndrome saps your energy and makes you hungry even when you’ve already eaten, it makes sense to start our discussion with the most important aspect of metabolic rescue … supplementation. While there is no single cause to Metabolic Syndrome, one contributing factor stands out: insulin resistance. And the key to controlling insulin resistance is to control blood sugar levels. This is why if you’re diagnosed with Type 2 diabetes, a physician will put you on insulin injections and/or other medications that lower blood sugar levels. However, these medications are not without serious side effects. For instance, if your injectable insulin isn’t properly balanced, you can experience hypoglycemia or dangerously low blood sugar. Hypoglycemia can lead to fainting at unfortunate moments like when you are driving a car. One of the most exciting natural alternatives to these prescription drugs is the extract of a vine from the rain forests of central and southern India called Gymnema sylvestre. Gymnema has been used safely and effectively in Indian Ayurvedic medicine for over 2,000 years for the treatment of “sweet urine,” or diabetes. In two separate studies reported in the Journal of Ethnopharmacology in 1990, Gymnema sylvestre was given to 49 patients with Type 2 diabetes to supplement their anti-diabetic medication. A rat study reported in 2007 confirmed the weight reducing power of Gymnema. 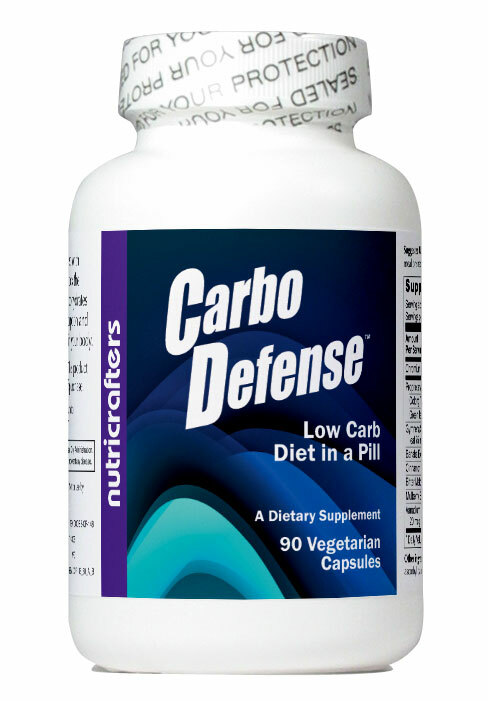 It also reported this supplement regulated and balanced lipid metabolism—a crucial consideration leading to metabolic rescue and management of Metabolic Syndrome. Two thousand years of use as a weight control/blood sugar balancing treatment is a testament to both Gymnema’s effectiveness and safety. Numerous modern clinical studies with both humans23 and rats24 confirm both safety and efficacy. Since you’ll be using Gymnema over a period of time, you should avoid “over dosing” yourself. While it a very safe supplement, too much at one time can lead to transient low blood sugar. Recent research into natural anti-Metabolic Syndrome supplements has identified one you probably have in your kitchen cabinet—cinnamon. Like Gymnema, cinnamon’s history as a control for diabetes goes back thousands of years. Plain cinnamon has a direct and significant blood glucose lowering effect. In one double-blind study, a total of 79 patients with diagnosed Type 2 diabetes were randomly assigned to take either a cinnamon extract or a placebo capsule three times a day for four months. Numerous other studies—including some funded by the US Department of Agriculture in Dr. Richard Anderson’s lab27—confirm these results. They’ve also shown that cinnamon has the ability to control lipids. As a food substance with thousands of years use, cinnamon is safe as a supplement … with one important exception. Cinnamon extract not only supports healthy blood sugar levels, but also has excellent antioxidant properties.29 In supplement form, it’s best taken with meals so that it can have an immediate effect on blood glucose. The exact mode of action of cinnamon’s blood sugar lowering power hasn’t been determined yet. But Dr. Anderson and other researchers have identified several of the water-soluble components that are responsible for cinnamon’s anti-Metabolic Syndrome activity. One of these components—and a very crucial one for your supplementation program—is the metal chromium. Chromium in its triple valence state (as picolinate or polynicotinate) is generally accepted as being safe.31 However, overuse of any mineral in a supplementation program is inadvisable. Dosages not exceeding 400mcg per day are both safe and effective for protection against Metabolic Syndrome. Southeast Asian remedy reduces blood sugar by a whopping 20-30%! Banaba leaf extract is a traditional remedy from Southeast Asia, India, Malaysia, Thailand, Nepal, and the Philippines. Not to be confused with banana (to which it is not related), Banaba (Lagerstroemia speciosa L.) has been used for more than 1,500 years for treating edema, dropsy, ulcer, high blood sugar, and diabetes. One key anti-Metabolic Syndrome component in Banaba is a substance called corosolic acid, which has a strong blood glucose lowering effect. But Banaba doesn’t just fight Metabolic Syndrome by lowering blood glucose levels. It also fights it very effectively along a number of different metabolic pathways. Banaba extract contains components called gallotannins. These substances have insulin-like glucose transport capabilities that facilitate glucose transport across cell membranes and into the cells where it is needed.33 Circulating glucose is lowered, and insulin resistance is significantly diminished. Tannins from Banaba also appear to inhibit the expression of key genes for adipose tissue (fat cell) production.34 Banaba fights Metabolic Syndrome and induces metabolic rescue by reducing dangerous concentrations of adipose tissue especially around the belly … with the welcome “side effect” of helping users lose weight. The 1,500-year history of Banaba’s safe and effective usage is a good indicator of its safety as a metabolic rescue supplement to combat Metabolic Syndrome. We saw a little bit ago how stress induces and maintains Metabolic Syndrome. So, if you can reduce the impact of stress in your life, you’ll find you’re on the path to metabolic rescue and should be able to reduce some of the severity of Metabolic Syndrome. The root of a flowering herb that grows readily in the cold parts of the world does just that. Rhodiola, particularly Rhodiola rosea (R. rosea) has been used for centuries as an adaptogen—an herb that increases the body’s resistance to stress, trauma, anxiety and fatigue. In other words, Rhodiola helped calm the mice physically and emotionally without the side effects prescription drugs bring with them. Inhibition of these two enzymes reduces the impact carbohydrates have on your blood sugar. Because of this double-barrel effectiveness, Rhodiola is a powerful addition to any nutritional approach to combating Metabolic Syndrome. It is one that you should consider adding to your personal metabolic rescue program. A common ingredient in Thai cooking is also a powerful combatant in your battle against Metabolic Syndrome. Like the other supplements we’ve discussed, bitter melon (Momordica charantia) fights Metabolic Syndrome along a number of different metabolic pathways. As a widely eaten food in Asia, bitter melon can be regarded as safe. However, combining bitter melon with standard antidiabetic drugs may reduce blood sugar too well.43 For this reason, if you already take drugs for diabetes, you should add bitter melon to your diet only with a physician’s supervision. One other caveat: If you live near an Asian market, you may be able to get fresh bitter melon. While bitter melon is a delicious addition to cooking, eating too much of the fresh fruit can cause the same problem eating too much of any melon causes: diarrhea. So my recommendation is to control your intake of bitter melon carefully by using either a stand alone bitter melon supplement or a metabolic rescue formula that includes bitter melon. Coccinia indica—also known as ivy gourd—is a creeper that grows widely in India and Bangladesh. It has been used since ancient times as an antidiabetic agent by Ayurvedic healers. In a study at the Institute of Population Health and Clinical Research, Bangalore, India, 60 Type 2 diabetics were randomized to receive an alcoholic extract of Coccinia or a placebo for 90 days. As with all Ayurvedic medicines, Coccinia’s safety has been proven through centuries of use and you should consider adding it to your metabolic rescue program. Why have I called your attention to all these different natural supplements as a way to protect yourself from Metabolic Syndrome? When you look at them superficially, it might be easy to think they all pretty much are the same. But that is far from the truth. Each of these substances fights Metabolic Syndrome and achieves metabolic rescue in slightly different ways. For example, Banaba lowers blood sugar by transporting glucose into your cells, lowering the glucose concentration in the blood. Gymnema fights Metabolic Syndrome (in part) by reducing sugar absorption in the gut and by stimulating release of insulin stores from other tissues, reducing insulin resistance. Some of these natural, safe herbs regulate lipids or reduce the amount of adipose tissue around your waist. Others increase production of the highly beneficial protein hormone adiponectin. And research is beginning to determine that some of these substances work right at the DNA level, turning off genes that code for fat production while turning others on that produce beneficial substances. By presenting you this array of natural Metabolic Syndrome fighters, I’m offering you the most powerful metabolic rescue options for protecting yourself if you do not yet have Metabolic Syndrome. And for getting your life back on track with you in control if you do have it. So instead of going to war with an army of infantrymen, you have an army of sophisticated specialists, each with a particular strength to protect you. This is synergy … where the combined power of the individual components is so much stronger than each one taken separately. I would love to be able to tell you that all you need to do to protect yourself from Metabolic Syndrome … or to start wrestling control of your life back from it … is to take the supplements I’ve discussed today. If I did that, I’d be lying to you. Metabolic Syndrome is a complex beast. It arises for many reasons. For that reason, fighting it solely with supplementation (or pharmaceutical drugs) simply is not enough. If you want to beat back the beast, you have to adopt two additional vital metabolic rescue strategies. Unfortunately, these strategies cause most people to moan and feel defeated before they even start. But the good news is that most people don’t really understand how easy both of these metabolic rescue strategies are. I’m talking, of course, about food and activity. Notice I didn’t say “diet” and “exercise.” That’s because both of those words are frontloaded with failure. But if you want to defeat Metabolic Syndrome in your life, you’ll have to make some changes in the way you look at the food you eat and the amount of activity your life. Changes, yes. But in fact, small ones. If you’re addicted to today’s modern convenience diet (and addicted is a good way to put it), you’re virtually ensured you’ll get Metabolic Syndrome. If you have any doubt, just consider this: We now have children as young as 9 and 10 with full-blown Metabolic Syndrome in need of metabolic rescue. All because of our modern western diet. Here’s how to break the grip of this addictive diet we currently eat. Eat every three hours. Set your watch by it. Of course, if you do this, you’ll want to eat less at each meal. By eating this way, without even trying you’ll reduce your total food intake throughout the day. And spreading out your food intake keeps your insulin from having to respond to sudden huge surges of carbohydrates. Unless you’re allergic to almonds, start your day soon after you get up by eating 10 dry-roasted or raw, unsalted almonds. They wake up your liver and kidneys and get them ready for the later influx of food they have to deal with. We all love spaghetti and mashed potatoes. But make those your special occasion meals. If you’re going to eat carbs, make them complex carbs like you get in regular (not instant) oatmeal. Replace the processed carbs you’re reducing with good protein. Cheese, almonds, tuna (in water, not oil) and the like are great for those meals you’re now eating every three hours. Make your meals special. Make them about social interaction rather than just eating. Use smaller plates. Take smaller bites. Put your fork down between bites. Talk to your spouse or a friend during the meal. The longer you take to eat, the less food you’ll consume. And you’ll walk away satisfied. And if you don’t have the time to do this—like at the office—take a few extra minutes, lay a napkin on the desk, set out your lunch, and take your time eating, even if it means working during the meal. 6. Swear off the “hard stuff”… sodas, diet sodas, and packaged fruit juices! This will be hard because we’re all programmed to want sodas. But sodas just jack up your blood sugar without giving you any nutrition. And as I mentioned earlier, diet sodas are as bad if not worse than regular sodas. It will take awhile to kick the soda habit. But once you do, you’ll discover a broad new world of flavors available to you. But what about fruit juice? Aren’t they good for you? Look at almost any can or box of juice you pick up. Up near the top is the infamous high fructose corn syrup. It is far better to skip fruit juices and eat the fresh fruit instead. What will you drink? Water. Tea. Coffee in moderation. A little red wine. Sparkling water. Make your own convenience food instead of stopping at the local burger joint. String cheese is tasty, filling, and comes in reduced fat variety if you want. If you must choose one of the big name fast food restaurants, opt for one of their “healthier” options. And when they ask, “supersize that?” remember they’re not really supersizing the food or drink. They’re supersizing you. Forget strenuous exercises. You just need to move! Now, I’m not saying you shouldn’t exercise strenuously if that’s your thing. Keep it up! But it’s not for everyone and just because someone works out two hours everyday doesn’t mean they’re healthier than you. The key, though, is to move. Regular movement gets your heart pumping faster. It uses glucose pumping through your blood vessels, ultimately reducing your blood sugar and your insulin resistance. The easiest way to start moving is to walk. Twenty minutes a day, five days a week. Start with an easy walk on flat ground if you haven’t pushed yourself in awhile. Go with a friend or partner. Talk about things of mutual interest and the 20 minutes is over before you know it. Soon, you’re stretching it into 30 minutes … or more. If walking doesn’t thrill you, find another activity that does. Dance. Swim. Yoga. Ping pong. Where are you going to find the time to do this? Let’s say you’re going to walk 20 minutes. It takes you 10 minutes to get to and from the park (or wherever) and another 10 minutes for warm up and cool down. That’s 40 minutes. Is there a 60-minute TV show you can give up to make room for personal movement time? I’m sure you can find one every evening. Eliminate or record that program and shift your schedule to accommodate your personal movement program. Bo Isomaa, MD, et al. Cardiovascular morbidity and mortality associated with the metabolic syndrome. Diabetes Care, Volume 24, Number 4, April 2001.
cott M. Grundy, et al. Diagnosis and management of the Metabolic Syndrome: An American Heart Association/National Heart, Lung, and Blood Institute scientific statement. Circulation; 112;2735-2752; 2005. Earl S. Ford, Wayne H. Giles, and William Dietz, Prevalence of the Metabolic Syndrome among US adults: Findings from the Third National Health and Nutrition Examination Survey. JAMA; Volume 287:3; 356-359; January 2002. Scott M. Grundy, et al. Definition of Metabolic Syndrome: Report of the National Heart, Lung, and Blood Institute/American Heart Association Conference on Scientific Issues Related to Definition. Circulation; 109; 433-438; 2004. Hanna-Maaria Lakka, et al. The Metabolic Syndrome and total and cardiovascular disease mortality in middle-aged men. JAMA; Volume 288: 21, 2709-2716, December 2004. Pär Stattin, et al. Prospective Study of Hyperglycemia and Cancer Risk. Diabetes Care 30:561-567, 2007. Scott M. Grundy, et al. Diagnosis and management of the Metabolic Syndrome: An American Heart Association/National Heart, Lung, and Blood Institute scientific statement. Circulation; 112; 2735-2752; 2005. Hotamisligil, G. S. (2004) Inflammation, TNFalpha, and insulin resistance. LeRoith, D.T.S. Olefsky, J. M. eds. Diabetes Mellitus—A Fundamental and Clinical Text 3rd ed. 2004:953-962 Lippincott, Williams and Wilkins New York, NY. Yuji Matsuzawa; Tohru Funahashi; Shinji Kihara; Iichiro Shimomura. Adiponectin and Metabolic Syndrome Arteriosclerosis, Thrombosis, and Vascular Biology. 24:29; 2004. AbstractScott M. Grundy, et al. Diagnosis and management of the Metabolic Syndrome: An American Heart Association/National Heart, Lung, and Blood Institute scientific statement. Circulation; 112; 2735-2752; 2005. Anastassios G. Pittas, Nandini A. Joseph and Andrew S. Greenberg. Adipocytokines and Insulin Resistance. The Journal of Clinical Endocrinology & Metabolism Vol. 89, No. 2 447-452. N. Al-Awwadi, et al. Differential effects of sodium tungstate and vanadyl sulfate on vascular responsiveness to vasoactive agents and insulin sensitivity in fructose-fed rats. Can J Physiol Pharmacol; Volume 82 (10): 911-8; 2004. George A Bray, Samara Joy Nielsen, and Barry M Popkin. Consumption of high-fructose corn syrup in beverages may play a role in the epidemic of obesity. Am J Clin Nutr 2004;79:537–43. Sharon S Elliott, et al. American Journal of Clinical Nutrition, Vol. 76, No. 5, 911-922. November 2002. Dallman, MF; Pecoraro, N; et al. Chronic stress and obesity: A new view of “comfort food.” Neuroscience. Communicated by Bruce S. McEwen, The Rockefeller University, New York, NY, July 28, 2003 (received for review May 14, 2003). AbstractAgardh, EE; Ahlbom, A. et al. Work Stress and Low Sense of Coherence Is Associated With Type 2 Diabetes in Middle-Aged Swedish Women. Diabetes Care 26:719-724, 2003. Roland Rosmond. Stress induced disturbances of the HPA axis: a pathway to Type 2 diabetes? Med Sci Monit, 2003; 9(2): RA35-39; 2003. K. Baskaran, et al. Antidiabetic effect of leaf extract from Gymnema sylvestre in non-insulin-dependent diabetes mellitus patients. Journal of Ethnopharmacology. Volume 30:3; 295-300; 1990. AbstractShanmugasundaram ER, Rajeswari G, Baskaran K, Rajesh Kumar BR, Radha Shanmugasundaram K, Kizar Ahmath B. Use of Gymnema sylvestre leaf extract in the control of blood glucose in insulin-dependent diabetes mellitus. Journal of Ethnopharmacology. Volume 30(3):281-294; 1990. Hong Luo, et al. Decreased bodyweight without rebound and regulated lipoprotein metabolism by gymnemate in genetic multifactor syndrome animal. Molecular and Cellular Biochemistry Volume 299, Numbers 1-2, pp 93-98; 2007. G Preuss, et al. Efficacy of a novel, natural extract of (–)-hydroxycitric acid (HCA-SX) and a combination of HCA-SX, niacin-bound chromium and Gymnema sylvestre extract in weight management in human volunteers: a pilot study. Nutrition Research , Volume 24 , Issue 1 , Pages 45 – 58. Ogawa, Y; et al. [Gymnema sylvestre leaf extract: a 52-week dietary toxicity study in Wistar rats – Article in Japanese]. Shokuhin Eiseigaku Zasshi. Volume 45(1):8-18, 2004. B. Mang, et al. Effects of a cinnamon extract on plasma glucose, HbA1c, and serum lipids in diabetes mellitus type 2. European Journal of Clinical Investigation 36 (5), 340–344 2006. 26. B. Mang, et al. Effects of a cinnamon extract on plasma glucose, HbA1c, and serum lipids in diabetes mellitus type 2 European Journal of Clinical Investigation 36 (5), 340–344 2006. Ziegenfuss, Tim; Anderson, Richard; et al. Effects of a Water-Soluble Cinnamon Extract on Body Composition and Features of the Metabolic Syndrome in Pre-Diabetic Men and Women. Journal of the International Society of Sports Nutrition; Volume 3:2, pp 45-53, 2006. AbstractKhan A, Anderson Richard, et al. Cinnamon improves glucose and lipids of people with type 2 diabetes. Diabetes Care. Volume 26(12):3215-8; 2003. Anderson, Richard et al. Isolation and characterization of polyphenol type-A polymers from cinnamon with insulin-like biological activity. J Agric Food Chem. Volume 14;52(1):65-70; 2004. Mancini-Filho J, et al. Antioxidant activity of cinnamon (Cinnamomum zeylanicum, Breyne) extracts. Boll Chim Farm. Volume 137(11):443-7; 1998. Anderson, Richard A. Chromium supplementation alleviates risk factors associated with the metabolic syndrome. Quimicam Clinica 26(S1):16. 2007. Anderson RA, et al.. Elevated intakes of supplemental chromium improve glucose and insulin variables in individuals with type 2 diabetes. Diabetes. Volume 46(11):1786-1791; 1997. AbstractHathcock JN. Vitamins and minerals: efficacy and safety. Am J Clin Nutr. Volume 66(2):427-437 1997. Judy, WV, et al. Antidiabetic activity of a standardized extract (Glucosol) from Lagerstroemia speciosa leaves in Type II diabetics. A dose-dependence study. J Ethnopharmacol. Volume 87(1):115-7, 2003. Klein G et al. Antidiabetes and anti-obesity activity of Lagerstroemia speciosa. Evid Based Complement Alternat Med. 2007 Dec;4(4):401-7. Liu X et al. Tannic acid stimulates glucose transport and inhibits adipocyte differentiation in 3T3-L1 cells. J Nutr. Volume 135(2):165-71, 2005. Yamaguchi Y et al. Corosolic acid prevents oxidative stress, inflammation and hypertension in SHR/NDmcr-cp rats, a model of metabolic syndrome. Life Sci. Volume 25;79(26):2474-9, 2006. Spasov, AA; Wikman, GK; et al. A double-blind, placebo-controlled pilot study of the stimulating and adaptogenic effect of Rhodiola rosea SHR-5 extract on the fatigue of students caused by stress during an examination period with a repeated low-dose regimen. Phytomedicine, Vol. 7(2), pp. 85–89, 2000. AbstractMattioli, L. and Pefumi, M. Rhodiola rosea L. extract reduces stress- and CRF-induced anorexia in rats. Journal of Psychopharmacology, Vol. 21, No. 7, 742-750 (2007). AbstractPerfumi, M., Laura Mattioli, L. Adaptogenic and central nervous system effects of single doses of 3% rosavin and 1% salidroside Rhodiola rosea L. extract in mice. Phytotherapy Research, Volume 21 Issue 1, Pages 37 – 43, 2006. Apostolidis E, Kwon YI, Shetty K. Potential of cranberry-based herbal synergies for diabetes and hypertension management. Asia Pac J Clin Nutr;15(3):433-41, 2006. Welihinda J, et al. Effect of momordica charantia on the glucose tolerance in maturity onset diabetes. J Ethnopharmacol; Volume 17:277-82, 1986. Laureen L. Y. Chan, et al. Reduced adiposity in bitter melon (momordica charantia)–fed rats is associated with increased lipid oxidative enzyme activities and uncoupling protein expression. J. Nutr. 135: 2517–2523, 2005. Yuji Matsuzawa; Tohru Funahashi; Shinji Kihara; Iichiro Shimomura. Adiponectin and Metabolic Syndrome. Arteriosclerosis, Thrombosis, and Vascular Biology. 24:29; 2004. Memorial Sloan Kettering Cancer Center. About Herbs, Botanicals, and Other Products: Bitter Melon. http://www.mskcc.org/mskcc/html/69138.cfm#Warnings. Aug. 9, 2007. AbstractAslam M, Stockley IH. Interaction between curry ingredient (karela) and drug (chlorpropamide). Lancet. 1979;1:607. Pari L, Venkateswaran S. Protective effect of Coccinia indica on changes in the fatty acid composition in streptozotocin induced diabetic rats. Pharmazie; Volume 58(6):409-12, 2003. Venkateswaran S, Pari L. Effect of Coccinia indica leaves on antioxidant status in streptozotocin-induced diabetic rats. J Ethnopharmacol. Volume 84(2-3):163-8, 2003. Khan AK, Akhtar S, Mahtab H. Treatment of diabetes mellitus with Coccinia indica. Br Med J. Volume 280(6220):1044, 198. Kuriyan R et al. Effect of supplementation of Coccinia Cordifolia extract on newly detected diabetic patients. Diabetes Care; Volume 31(2):216-20. 2008.